The HTC Desire HD is a Smartphone of Android made by HTC Corporation. 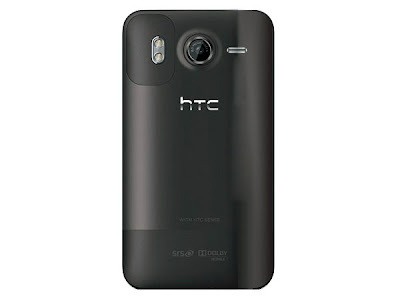 It was released in London at 15 September, 2010 in a press conference of hosted by HTC Corporation. 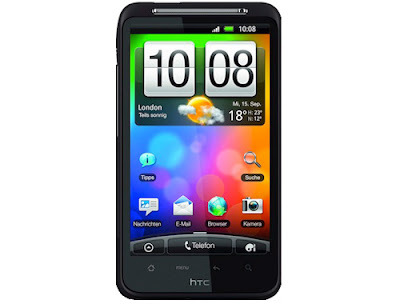 It was available for sale from mid October using codename "HTC Ace". The HTC Desire HD has some mind blowing features that can hit the heart of any fashionable handset loving person. The specifications of HTC Desire HD mobile phone set are given below: Supported network: 1. 2G Network- GSM 850/900/1800/1900. 2. 3G Network- HSDPA 900/2100. Size: 1. Dimensions -123x68x11.8 mm. 2. Weight -164 gram. Display: 1. Type- LCD capable of touch screen with 16M colors. 2. Size- 4.3 inches with 480x800 pixels. 3. UI autorotate Accelerometer. 4. Auto turn-off Proximity sensor. 5. HTC Sensible UI. 6. Multi touch input. Sound: 1. Alert types- Vibrating alert, MP3 and WAV ringtones. 2. Speakerphone- Yes. 3. Audio jack (3.5 mm). 4. SRS sound increment. Memory: 1. Phonebook- unlimited fields and entries with Photo call advantages. 2. Call records –unlimited. 3. Built-in - 1.5 GB with 768 MB of RAM. 4. Memory card- microSD 8GB (included), expandable up to 32GB. Data: 1. GPRS and EDGE Class 32. 2. 3G HSDPA(14.4 Mbps) and HSUPA (5.76 Mbps). 3. WLAN- Wi Fi 802.11 b/g/n, DLNA. 4. Bluetooth –Yes, version-2.1 with A2DP. 5. No infrared port. 6. USB- Available, microUSB with version 2.0. Camera: 1.Resolution-8 MP with maximum 3264x2448 pixels. 2. Flash- dual LED flash with autofocus. 3. Features- face detection, Geo-tagging. 4. Video- Yes, with resolution of 720p. Features: 1. OS- Android Operating System with version 2.2 (Froyo) 2. CPU- Qualcomm Snapdragon QSD8255 with 1 GHz of processor 3. Messaging- SMS with thread view, MMS, Push Email, Email and IM 4. Browser- HTML 5. Radio- Stereo FM radio 6. Games- Yes 7. GPS Yes, A-GPS supported 8. Java- java supported by third party application 9. Digital compass 10.Enhanced separate search key 11. Google, Maps, Gmail 12. Voice memo 13. YouTube, Picasa, Google Talk integration 14. MP3 / WAV / AAC / WMA9 player 15. Xvid / DivX / MP4 / H.264 / H.263 / WMV9 player 16. Adobe Flash v10.1 17. Facebook and Twitter applications 18. T9 dictionary Battery: Li-Ion 1230 mAh with Upto 490 hour for 2G and Upto 420 hour for 3G. This amazing new phone is available in Black silver and Brown color. Its user friendly and excellent features helped HTC Corporation to make itself the top user’s choice. And the good news is that it’s available in India market. The price is around Rs. 28,000/-.